A regional residential real estate firm recently opened its newest office at Autumn Hall, in a mixed-use building where space has also been leased by other newly announced tenants. Additionally, the commercial real estate firm and development team that created the building announced Thursday that development will begin soon on a second facility of its kind. Coldwell Banker Sea Coast Advantage, one of the largest residential real estate companies in Southeastern North Carolina, moved agents into 18,000 square feet in Dungannon Village, the two-story office building at 110 Dungannon Blvd. The company moved employees there from a previous location at Sir Tyler Drive and Military Cutoff Road. Taking up half of the first floor and all of the second, the firm is an anchor tenant in Dungannon Village, which sits at the entrance to Autumn Hall, and its newest office acts as a central hub of operations for Coldwell Banker Sea Coast Advantage’s network of 12 offices from southern Brunswick County to Jacksonville. “The office design is also a great fit for our company culture – it’s bright and welcoming and has a warm coastal theme that runs throughout the space. We’re very proud to welcome our clients into this office,” Milam said in a news release. Alex Paen and Sherri Pickard are managing brokers of the Wilmington office and about 170 Sea Coast Advantage agents and 40 support staff are now working from this location. Administrative functions that support all of the Sea Coast Advantage offices are housed at Dungannon Village, including IT, accounting and marketing. In addition, the new office houses the Sea Coast Real Estate Academy, a real estate school that offers pre-licensing, post-licensing and continuing education courses for prospective and existing agents from any firm, and the Success Center, a training program specifically for Sea Coast Advantage agents, according to the release. Announced last summer, the Dungannon Village space is the second new Wilmington office for Sea Coast Advantage this year. In March, Sea Coast opened a new midtown location at 2516 Independence Blvd at Barclay Commons. And Milam said Sea Coast plans to open another new office — its 13th location — in a new market by early to mid-July. Alpha Mortgage, Don Bullard Insurance and Herrington Classic Homes, a builder of custom and semi-custom homes throughout the Wilmington area, will soon join Coldwell Banker Sea Coast Advantage as tenants at Dungannon Village, creating a “one-stop shop” for homebuyers, Milam said. The only tenant not related to real estate at 110 Dungannon Blvd. is Drift Coffee & Kitchen, a coffee shop and café that is expected to open this summer. According to the release, the new office houses a combination of flex space, individual offices and cubicles to accommodate the various work styles and needs of Sea Coast Advantage agents. The first floor offers eight conference rooms for agents to meet privately with clients, which is twice as many as the previous office. The office also has more flex space, giving agents in transit a semi-private work environment to plug in, make calls and have easy access to support services such as copiers, scanners and fax machines. 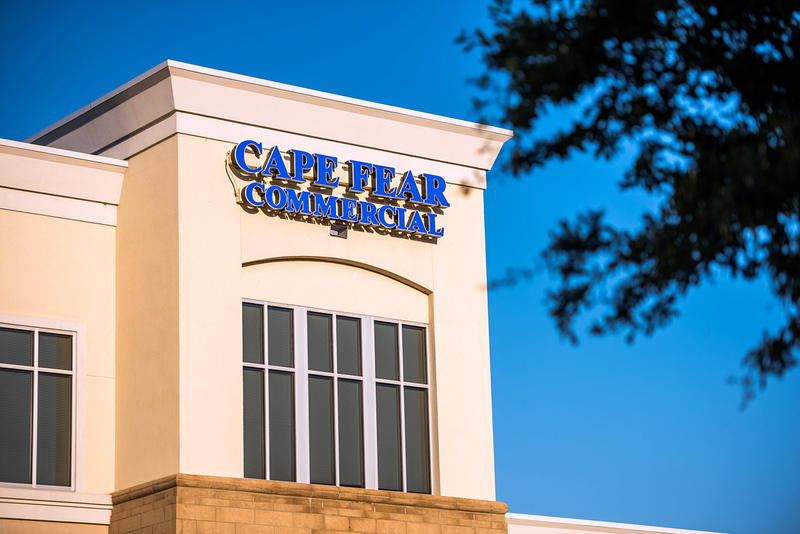 Wilmington-based firm Cape Fear Commercial has been representing the owner in leases of Dungannon Hall, while Grayson Powell, managing partner of Coldwell Banker Commercial SunCoast, represented Milam and Sea Coast Advantage. Cape Fear Commercial on Thursday announced the addition of Herrington Classic Homes (Herrington Homes) to the tenant roster for Dungannon Village, which has a total of 24,000 square feet of class-A office and retail space. The custom homebuilder recently signed a five-year lease for 2,116 square feet on the first floor, bringing the property’s occupancy to 100 percent, the Cape Fear Commercial news release said. Cape Fear Commercial brokers Mike Brown and Howard Coupland negotiated the Herrington Homes transaction on behalf of the landlord, Autumn Hall DVC LLC. “We are pleased to add a reputable organization like Herrington Homes to our roster of tenants for the property,” said Brown in the release. 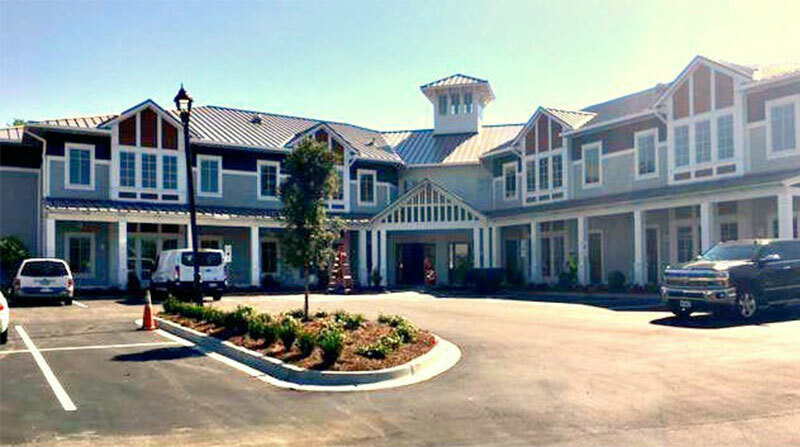 Dungannon Village was developed by GHK Cape Fear Development and is leased and managed by Cape Fear Commercial. The building was designed by Becker Morgan Group Inc. and built by Thomas Construction Group.